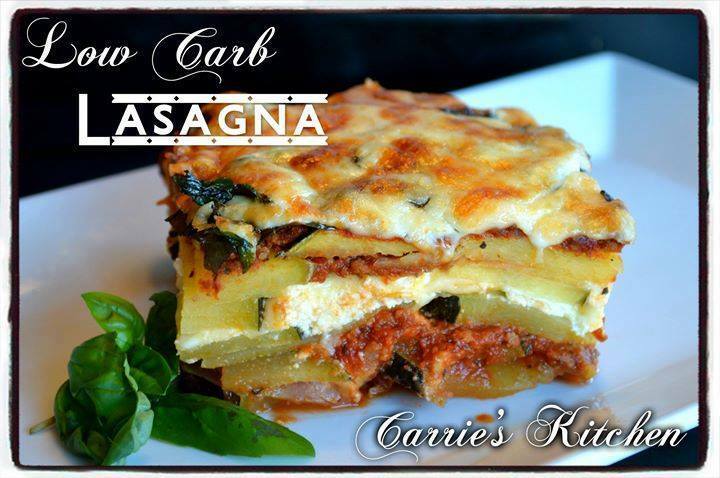 A delicious low carb take on traditional lasagna. Perfect anyone following a ketogenic meal plan or low carb lifestyle. Scramble fry hamburger until cooked. Drain excess liquid and then add the 2 jars of pasta sauce, stir. 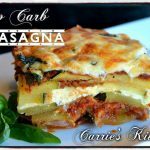 Slice the zucchini into "lasagna" strips, set aside. Beat the eggs in a small bowl, add the ricotta and parmesan cheese and mix together. Put about 1 cup of sauce mixture in the bottom of a casserole dish (so the "noodles" don't stick). Then add a layer of the zucchini noodles overlapping slightly. Then you can basically layer however you want. There is enough ricotta cheese mixture to do two layers. Add the shredded cheese on top of the ricotta cheese layers. The top layer should be sauce. Bake in the oven uncovered for 2 hours at 350 degrees. Remove from oven and layer fresh basil leaves over lasagna. Sprinkle the remaining shredded cheese over top of basil leaves, and return to the oven for an additional 15-20 minutes. Let lasagna sit for at least 10-15 minutes before serving. Where can we find the nutritional information?